There's a jewel hidden in Brixton's crown where you can lose yourself in a maze of vibrant colours, tantalising smells, quirky shops and an amazing array of food. It's Brixton Village Market, and it is wonderful. 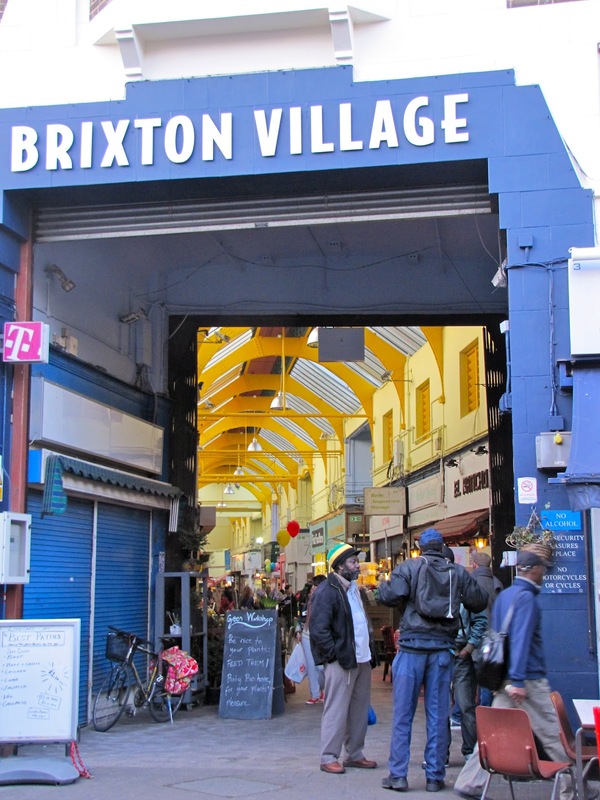 Brixton Village is located in what was formerly the Granville Arcade, a tired, empty space which has since been given a new lease of life by those clever, creative folk at Space Makers who have completely transformed it into a culinary and creative haven. 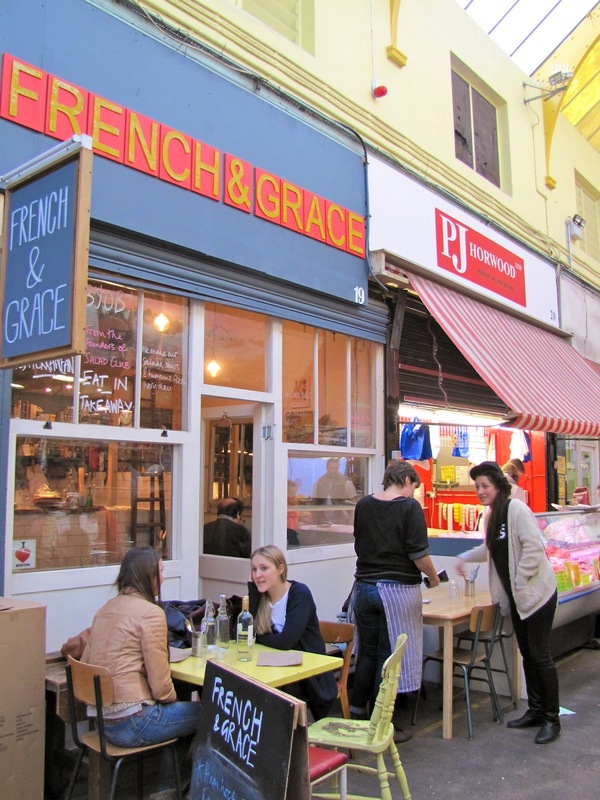 Amongst all the shops and stalls inside Brixton Village, you'll find around a dozen fantastic restaurants and cafes. Nothing posh or fancy, but all of them oozing character, charm and selling damn good grub. In fact, I reckon with such a concentration of global cuisine under one roof, you could almost eat your way around the world in here - street food at its best! Thai noodles, Caribbean jerk chicken, salt fish patties, Indian samosas, pakoras, Italian pizza, Chinese dumplings, Mexican burritos, juicy burgers, homemade brownies and a full English breakfast, all living together in perfect harmony. It's worth noting that a lot of the places offer BYO (some charge corkage) which makes this a great place to grab a bottle, grab a friend and grab a table for lunch or dinner with a difference. Be aware that most places take cash only, and not many take bookings, so get there early and go via a cashpoint. Two of my favourite places are Corner Copia and French & Grace. 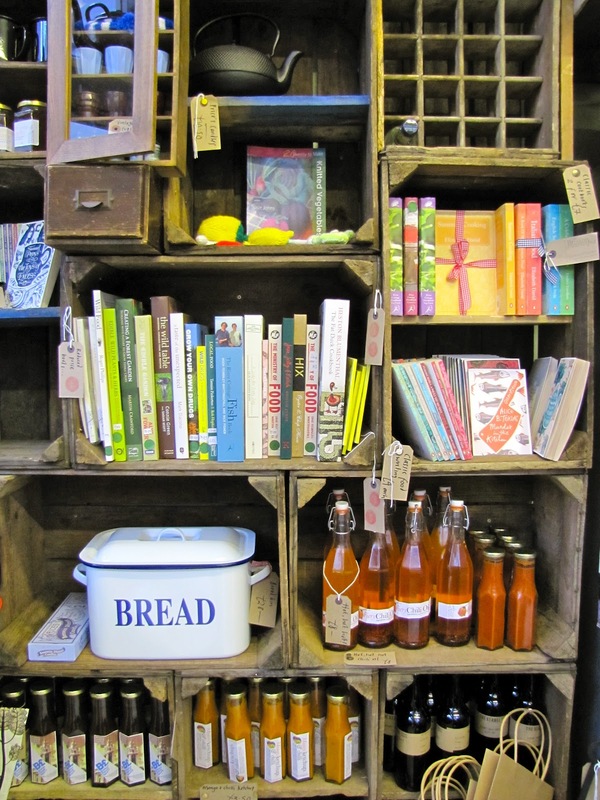 Corner Copia was one of the first restaurants to be established in Brixton Village, and ticks all my boxes - it serves great food, the staff are friendly, the flowers are bright, the shelves are stacked with homemade jams, vintage bottles & cookery books, and the atmosphere is nostalgic. They are really big into promoting local produce and as they have a licence, they even sell English wine, plus cider and beer made by a micro-brewery in SE1. Nice. 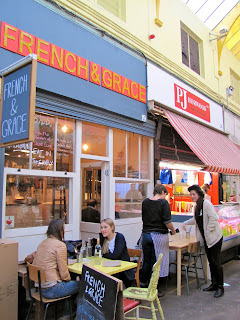 Meanwhile, French & Grace has a similar appeal and is run by two ladies who started off doing a supper club in their home, but have done so well, they've now escalated to running their own restaurant and even have a cookbook coming out. I enjoyed one of their lamb merguez sausage & halloumi wraps with butter bean & rosemary humous and carrot & beetroot slaw. As with many of the restaurants, their premises can be booked to cater for private parties. I've yet to try one, but for a knock-out burger, I've heard Honest Burgers is the place to go, and as their meat is provided by The Ginger Pig, you just know it's going to be good. Other great places to note are Elephant Cafe for Pakistani street food, Rosie's Deli for homemade treats, Federation Coffee for perfect coffee, and Take Two for proper smoked Jerk chicken. And if you love bread, then Breads Etcetera provide Dualit toasters on each table, so you can sit back with a pot of tea, a choice of preserves and get busy making your own toast with their incredible artisan bread. And finally, for the ice creamists among you, a visit to LAB G for their amazing homemade ice cream is a must. Especially the best selling salted caramel flavour which apparently is food critic, Jay Rayner's fave. In fact, I saw him wandering around with one. No, really, I did! Aside from all the great places to eat, there are also great places to shop. Brixton Village is full of boutiques selling fashion, homeware, crafts, art, and record shops offering world music. I particularly like Circus which is clad in cardboard tubes and sells all sorts of homemade bits including jewellery, pottery and unusual organic gifts. Brixi's is also excellent, selling curious objects, retro homeware and giant lightbulbs! I love the hustle, bustle and unique style of Brixton Village, so full of charm, colour and positivity. A place where creative souls and dreamers can realise their aspirations. In true village and market style, it has a real sense of community with everyone being neighbourly, friendly and helping each other out. 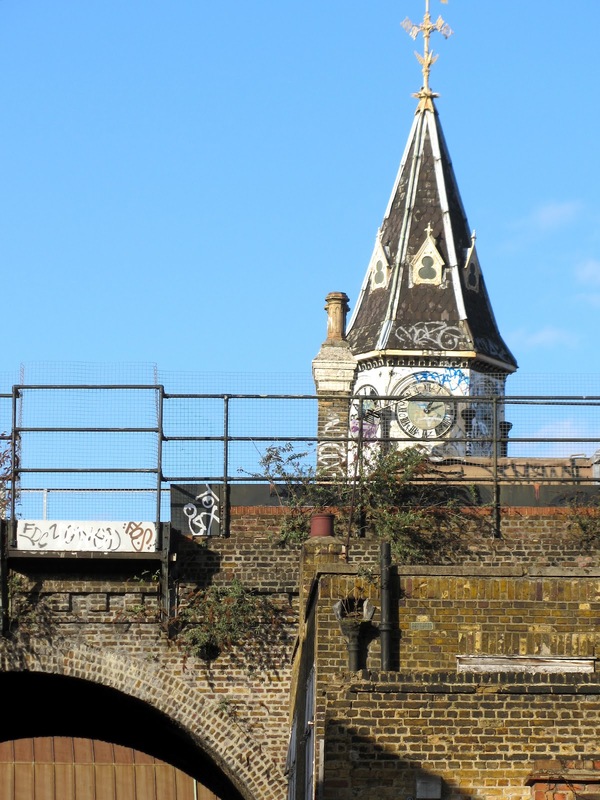 And despite adding a cosmopolitan flair and attracting newcomers, it's improving the area without detracting from the gritty character and urban edginess that gives Brixton its wonderful heart and soul. I really miss the London markets!! This is by far one of my favourite places in London! I love your picture of the circus shop. Great blog. See you on Triptease! Great blog. I love all your photographs.